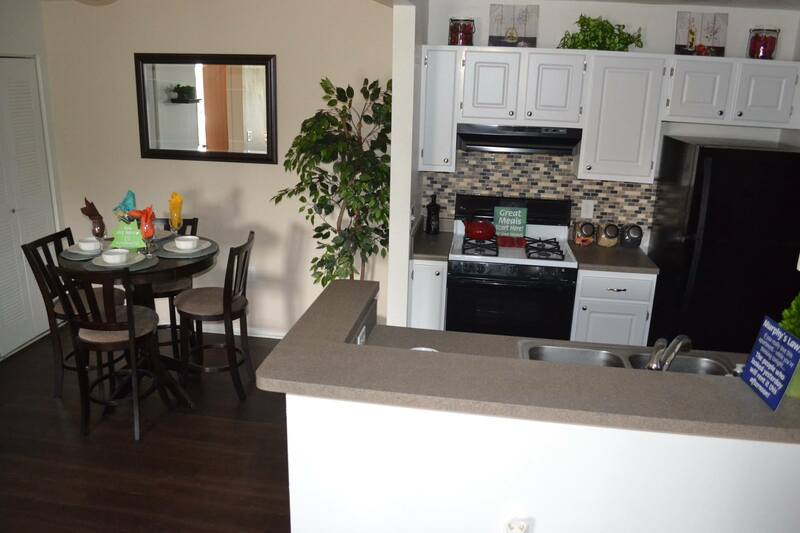 Since acquiring Waldon Lakes Apartment Homes in February 2015, LR Management has consistently been upgrading the apartment homes both on the inside and the outside. First, LR Management continued with Waldon Lakes ongoing kitchen renovations of updating countertops, cabinet fronts, and lighting fixtures in each apartment. From there, a backsplash was added behind the range as well as new cabinet door handles to help make each apartment home look modern and up-to-date. On the outside of each apartment home, the porch lighting has now changed from a dated globe to a sleek, new light fixture that gives each home more character. The latest updates, as you can see in the featured photo, we are starting to introduce black appliances and plank flooring from the kitchen into the dining room area. In under a year, LR Management has accomplished a goal of making Waldon Lakes a more modern and comfortable place to live. Coming soon – we will be installing select carports on site as well as renovating the clubhouse entirely with all new flooring and furniture.